Chlorophyll, the green pigment of plants, is an alkalinizing compound found in plants that helps offset the acidifying effect of the typical high-fat, high-protein Western diet. Because chlorophyll is not known to be an essential nutrient, a “deficiency” does not exist. People who do not eat plenty of green foods lack chlorophyll in their diets. Chlorophyll, often referred to as “the blood of plants”, is closely related to hemoglobin - the red pigment of red blood cells responsible for oxygen transport in many animals. The main difference between the two molecules is the metallic element in the center. In human blood hemoglobin consists of iron, while in chlorophyll, the metallic element is magnesium. Some people believe that this resemblance helps the chlorophyll to be better absorbed and used to “build up” blood and fight anemia. Some scientists and nutritionists do not believe it is absorbed internally (to reach the blood) but rather that it may act locally to support the health of the mouth, stomach and intestinal tract. What Nutritionists, Doctors and Scientists says about Moringa Main Ingredients? Supplementation - No longer a matter of Choice. Diet and nutrition go hand in hand. A better diet leads to better nutrition, and one important component of better nutrition is supplementation. Why? The body doesn’t absorb every nutrient consumed, making it nearly impossible to get all the right nutrients all of the time. What’s the best supplement? The one that works. Who needs to supplement their diet? Everyone! Research has shown that when supplement use increases, the use of prescription drugs goes down. According to the American Medical Association, supplementation is no longer a matter of choice, as people who do not supplement their diets are at higher risk for degenerative diseases; and Dr. John Klippel, president of the Arthritis Foundation, stated “There are lots of choices that people need to make and supplements are one of them. Without the proper nutrients needed to do their job, our bodies are fighting a losing battle to keep us healthy, the result being sickness and disease. A hundred years ago people died primarily from infectious diseases such as influenza, pneumonia, and diphtheria. Today the leading causes of death and disability are heart disease, cancer, osteoporosis, arthritis, and other degenerative diseases. In large part this change is due to how we eat (fast foods, over- processed foods),what we eat(partially hydrogenated oils, high fructose corn syrup), and the quality of what we eat. The Center for Disease Control reports that 5 out of every 10 deaths are due to poor diet. The CDC says that translates to almost 400,000 Americans dying every year due to obesity from poor nutrition or lack of exercise. The CDC reports that 35% of cancer deaths result from dietary risk factors. A study completed in 2006, by the British arm of EPIC (European Prospective Investigation into Cancer and Nutrition), which compared the diets of 500,000 people in 10 countries to discover how diet is linked to cancer, showed that diet is second only to tobacco, as a leading cause of cancer, and, along with alcohol, is responsible for nearly a third of cancer cases in developed countries. It also revealed that diabetics have three times the normal risk of developing colorectal cancer, which kills more than 490,000 people worldwide each year. Getting enough vitamin D and calcium brings a remarkable reduction in cancer risk, a recent 4-year study atCreightonUniversity found. Women who took the combo reduced their overall risk by up to 77%. According to lead researcher Joan Lappe, PhD, RN, a professor of nursing and medicine, “Vitamin D enhances your body’s immune response — which is the first line of defense against cancer”. These natural compounds within the Moringa plant support a healthy, active lifestyle that enhance the body’s ability to relieve pain, inflammation and many other health concerns affecting the body’s various systems. Moringa’s natural COX-2 inhibitors assist the body to selectively block the COX-2 enzyme, impeding the production of the chemical messengers (prostaglandins) that cause pain and swelling. Along with these natural COX-2 inhibitors and thanks to Mother Nature’s wisdom,Moringa also provides the body additional documented pain-relieving nutrientsthat include: arginine, beta-sitosterol, calcium, chlorophyll, copper, cystine, omega 3, omega 6, omega 9, fiber, glutathione, histidine, indole acetic acid, isoleucine, leucine, magnesium, oleic-acid, phenylalanine, potassium, rutin, selenium, stigmasterol, sulfur, thiamin, tryptophan, tyrosine, vitamin A, vitamin C, vitamin E (alpha-tocopherol, delta-tocopherol, gamma-tocopherol), zeatin, and zinc. In addition, Moringa’s abundantly bio-active compounds, such as carotenoids, flavonoids and polyphenols have been researched regarding their ability to naturally reduce inflammation, promote joint and bone health and they have been found to be both effective and fast-acting. A more natural way to support skin health by regenerating new skin cells without the dermabrasion and chemical peels of topical agents is with Cytokinins. Cytokinins are plant hormones that promote cellular growth and delay the aging process.Cytokinins stimulate cell division, delay the aging and destruction of tissues, protect against cell oxidation, and postpone cell death. Studies are now showing that the potent, protective, anti-aging effects of Cytokinins work the same way in human skin.When the diet includes these plant nutrients, the body as a whole can fight aging, starting at the cellular level. The most potent Cytokinin is Zeatin. A study conducted the University of Aarhus, Denmark, in 2004 evaluated the effects of Zeatin on cultured human skin fibroblasts over their life span in lab culture. The results showed that not only does Zeatin not interfere to with the genetic control of cellular life span of a cell, but that it also helps promote small cell size, a key component to more youthful skin. Zeatin also helps with the structural and functional integrity of the cell, and prevents accumulation of macromolecular damage in the cell. The study also found that Zeatin increases the activity of some antioxidant enzymes counteracting the free radical-induced oxidative damage incurred during cell aging. By preventing damage, antioxidants allow your skin to focus on building new collagen and other tasks (such as getting rid of old skin cells) that keep it looking young. 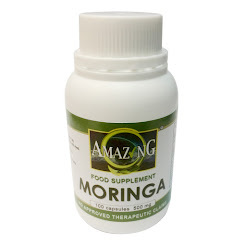 Found in most plants, Zeatin is more abundant in one plant than any other, Moringa Oleifera. 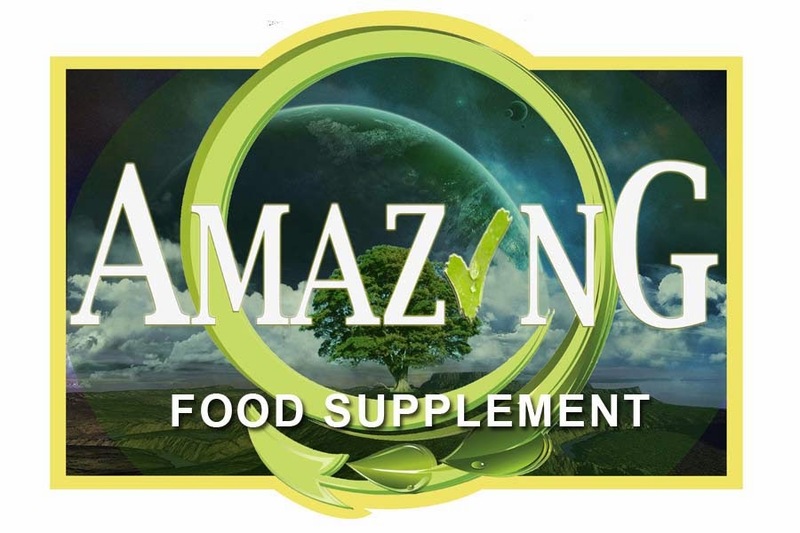 Moringa Oleifera not only contains thousands of times more Zeatin than any other known plant, it is also the most nutritious plant discovered to date with over 90 nutritional compounds, including 46 antioxidants and 36 anti-inflammatories. Dr. Lydia Marero, of the Food and Nutrition Research Institute (FNRI), also believes Moringa could be the new anti-aging alternative. Dr. Marero says, “Because of its high content of vitamins A, C, and E, which are very potent antioxidants, Moringa is a very good quencher of unstable free radicals that can react with the damage of molecules that cause aging”. Aging of the skin is not the only result of skin damage. Skin cancer rates and deaths are increasing dramatically around the world. One in five Americans will develop skin cancer during their lifetime, and one American dies from it every hour. Underneath aging and age-related disease is low-grade inflammation, according to dermatologist Nicholas V. Perricone, MD. He continues, “The skin is always getting inflamed by sun, weather, pollution, and products because it is our interface between the environment and our body. So the best ways to decrease disease risk and slow the aging process is to take nutrients with powerful anti-inflammatory activity on a regular basis. Through a three-tier approach involving diet, supplements, and creams, we can control the rate at which we age”. Combining a good diet with the right dietary supplement will not only help keep your skin healthy, but also looking years younger. While the skin is the largest system of the body and requires proper nourishment to delay the visible signs of aging, aging isn’t just skin deep. Every system, that is every cell of the body, ages every minute of every day. There is no magic fountain of youth. However, by providing proper nourishment, along with antioxidants with anti-aging compounds at the cellular level, anti-aging of all systems of the body can be slowed; minimizing the visible signs of aging skin and lowering the risk of degenerative (age related) diseases. Top Private Hospitals in India is a hospital owned by a proceeds company or a non-profit association and in private funded during imbursement for medical services by patients themselves, by insurers, or by overseas embassies. Making high quality food supplements affordable and available - to your doorsteps. 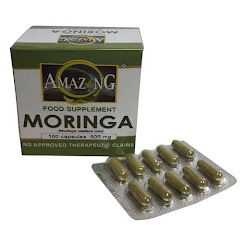 CLICK to buy Amazing Food Supplement Moringa Online C.O.D. - FREE delivery! Is the moringa 'miracle tree' the next big superfood? This is a partial list of groups and organizations working to maximize the beneficial properties and commercial use of the Moringa Tree. * ECHO - Education Concerns for Hunger Organization, Inc.
TriNet Enterprises' Amazing Food Supplement. Awesome Inc. theme. Powered by Blogger.